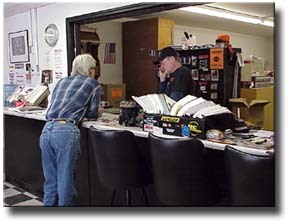 At Big Pete's Cycle we strive to provide a well-stocked Parts Department for the convenience and needs of our customers. And we are happy to special-order those items that are not immediately available in-house. The knowledge, experience, and helpfulness of our people make all the difference in making sure that your motorcycle gets the parts and accessories it needs. Our customers rely on us to provide expert and personal assistance.